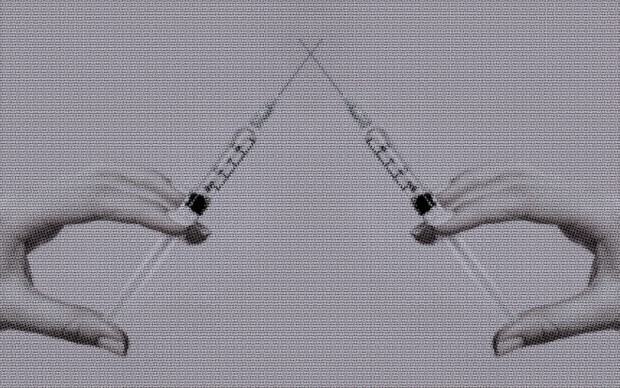 Is A Cortisone Shot The Only Option For Treating Acne Cysts? Updated 12/1/17. Of all the types of acne someone can get, cystic acne is both the most frustrating to treat and can be the most damaging to the skin. What is cystic acne? Those hard, painful bumps and blemishes that develop deep within the skin, and often appear on the chin or jaw line, and can linger for weeks. Cystic acne, whether chronic or intermittent, is one of the most frustrating types of acne lesions to deal with. 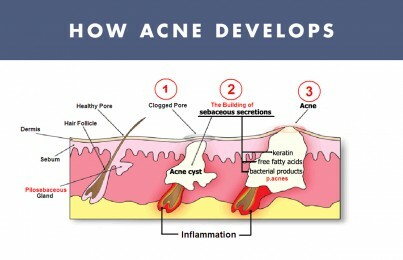 What happens in cystic acne is not a pretty picture. It is typically triggered by a surge in hormones, such as occurs during a woman’s menstrual cycle. The skin’s oil glands become hypersensitive to this cascade of hormones, and react by overproducing sebum—so much, in fact, that the oil gland itself becomes engorged, swollen, and hardened with the excess. Unable to push the extra oil into the lining of the hair follicle (which leads to the surface of the skin via pores), the gland bursts underneath the skin. This causes acute inflammation and irritation, and leads to the redness and soreness of cystic acne. Because these lesions start so deep in the skin, scarring (red, dark and purple marks) is an all-too-common side effect. They are most often resistant to most topical acne treatments since products designed for treating acne generally work on the surface to dry out the bacteria. In the case of cystic acne, the infection is not on the surface of the skin but rather down in the deeper layers. Have you ever used a drying spot treatment on a cyst to not only find that you’re still left with the sore bump on the skin, but now you have dry, flaky skin on top? Traditionally, acne cysts have been treated at the dermatologist’s office with either oral antibiotics, or for a quick, fast remedy, a cortisone injection is given. The downside of cortisone injections for cystic acne is that they are expensive, plus the time spent waiting in a doctor’s office, and more seriously, the skin can atrophy in the injection site and can end up looking sunken in. It usually is temporary but it can sometimes take up to a six months to bounce back naturally. 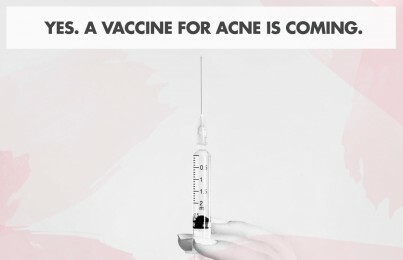 Every time you’re injecting a needle into your skin, whether it’s for purposes of reducing wrinkles with cosmetic fillers or treating acne cysts with cortisone, there is always a risk. If you suffer from cystic acne and have exhausted most options, I really suggest you give this product a try. You can purchase Anti Cyst Treatment here. How does it work? It uses a purified form of lactic acid along with an advanced delivery system to get into the cyst to dissolve and digest the cystic infection and encourage a quicker recovery. Most users find that it flattens the visible appearance of the cyst 50% quicker than when using nothing at all. I consider it a miracle and our customers do to. If you get cysts, you really have to try it. The most important advice I can give when it comes to cystic blemishes is not to pick at it. The infection is deep under the skin. I certainly understand that it’s very painful and my clients will say “I feel something under there and I want to get it out”, cysts are NOT meant to come out the surface. They develop deep within the skin and heal deep within the skin. Your body will naturally reabsorb the infection. When it comes to concealing it with makeup, It’s a lot easier to cover a closed bump with makeup, than a picked-at, oozing scab right? The choice is yours. 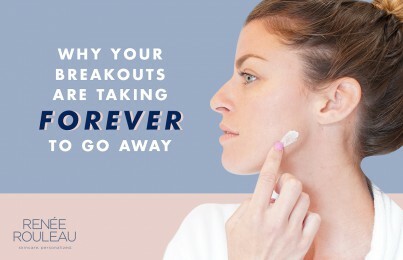 If you suspect your cysts are hormone related, read my expert tips for preventing adult hormonal breakouts. Lastly, I offer a step-by-step guide for how to get rid of blemishes faster than ever with my Zit Care Kit. My daughter has been using your Anti Cyst Serum for a few years now and up until now it has stopped anything from getting as bad as it used to. She has now had two new cysts come up on either side of her chin. She is 34 years old, but this really makes me worry, as I don’t want her to get any further scarring. Hi Julie, Unfortunately the only other option would be to consider taking oral antibiotics. My two worst scars resulted from cortisone shots. Even worse, neither shot made the cyst go away. If you want to try a shot, try it first in some area on your face that doesn’t show much. If these don’t work for you, you may very well end up paying for that shot with an ugly scar the rest of your life. I have been going to a dermatologist since I was about 15 years old. I have attempted just about every exfoliant/cream they have given me. I also have tried medications and birth control which has never improved anything. I am now 20 and still suffer from acne that never seems to calm down. The way I would describe my acne would be in deep masses and they tend to hurt. I was never told this could be cystic acne but I’m starting to believe it is. Could this product help my acne clear up? Also, is there a product that can help me with acne scars? I am in desperate need of a miracle. 5 years of acne and scars really has taken a toll on me in terms of self esteem! Hello Keyla, This product is certainly worth trying since it sounds like you get these types of cystic breakouts. As for scarring, the Post-Breakout Fading Gel is really effective. The only thing that cured my cystic acne was Accutane. Contrary to popular belief, it is still available, although with a lot of controls. It has been linked to a risk of Crohn’s disease but neither I nor four other women in my family had any post-Accutane problems. I still had minor problems, so I still needed products like these to keep my skin clear, but Iin my experience the only cure for cystic acne is Accutane. I am 51 yrs old and have had some problems with cystic acne the past few years consisting of about 1 or 2 cysts every few months on my left jawline. Cysts often last several months before slowly disappearing. I have applied this product on my entire jawline twice a day for the past 2 weeks since receiving it and it has done nothing for the one cyst I have had since December and I now have more in the same area on my jawline and also a couple on the other side which I usually don’t get them. Does your AntiCyst Treatment product make things worse before it gets better or am I just not a good candidate? Thanks. Generally, this product will work best on active cysts, meaning, ones that are red and sore. If you have an older cyst that is no longer inflamed, then you might need to get a cortisone shot to make it go down.